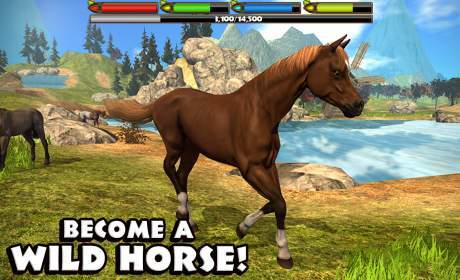 Download the Ultimate Horse Simulator today while it’s 50% OFF for a very limited time! You’ll need to maintain your health, hunger, thirst, and energy if you’re going to survive in the wilderness! 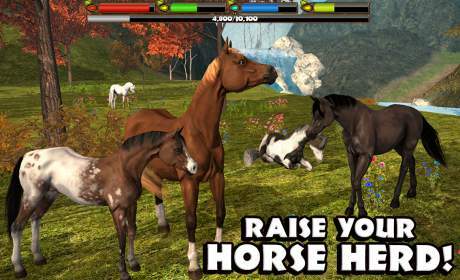 Choose your horse’s name, gender, style, coat and mane, and even tint them any color of the rainbow to make the herd of your dreams! Customize your coat and mane separately with 15 choices for each there are hundreds of combinations! 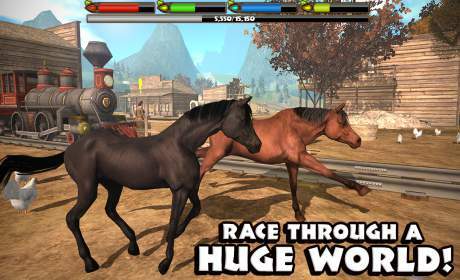 If you liked living as a Horse then you’ll love our other animal simulators! Download our Ultimate Wolf Simulator and live a wild life in the forest, check out the Stray Cat Simulator and raise kittens in a crowded city!